It's been 6 years and 1 month since Chris Brown physically assaulted his then-girlfriend Rihanna on the eve of the 2009 Grammy Awards, leaving her hospitalised. 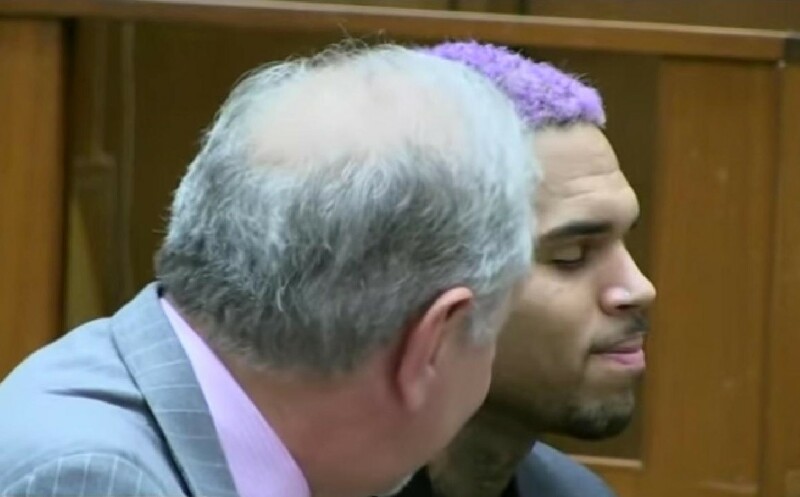 Chris Brown just caught a big break ... the probation dept. has backed off its recommendation that Chris be thrown in jail. As you recall ... the judge revoked Chris' probation after the probation dept. issued a scathing report, claiming Chris had a knack for finding trouble, and they highlighted the fact that he was present during 2 shootings ... one in San Jose and another at 1OAK where Suge Knight got shot. Chris' probation officer also had issues with the fact Chris didn't get permission to leave L.A. County when he performed in San Jose. The probation dept. recommended Chris serve time in jail. But now the probation dept. has done an about-face. His probation officer submitted a glowing report to the judge in the Rihanna beating case, saying Chris has done all of his community service and they're satisfied with his excuse for travelling to San Jose. Short story ... Chris is in court Friday afternoon, and it's all but certain the judge will reinstate his probation and let him go on his merry way. Brown thanked God on Twitter for his escape.